I am making a small movie and recreating a scene from 57 years ago. 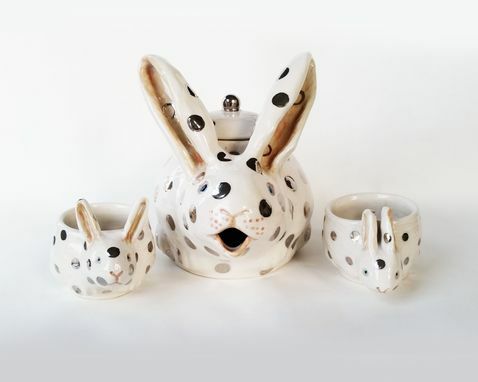 I needed a piece of intricate, complicated pottery recreated for the scene. Sara assured me she could make the piece of pottery look EXACTLY the same as the original from the 60's. She pulled it off! I can't even come up with the right words to describe how impressively perfect the piece is. I consider myself very, very lucky to have met her through this site. 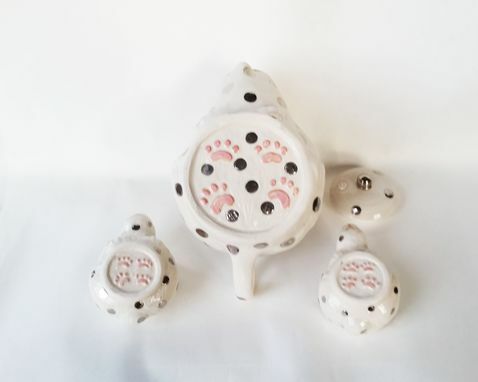 If you need a piece of pottery done perfectly, Sara can deliver. Wow!!! 10/10! Serve your tea in style! 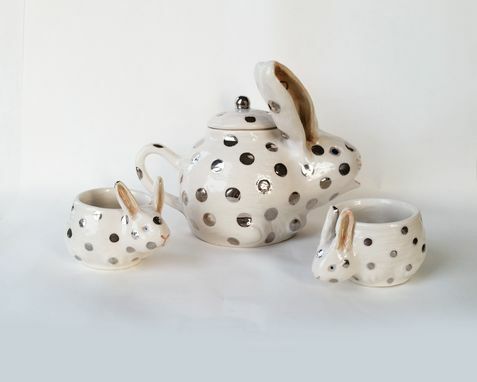 While this is more of a decorative set it can be used to make tea. 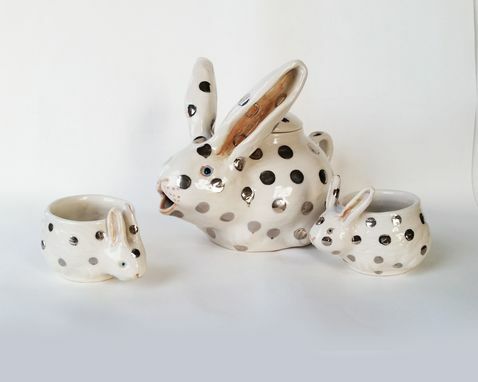 Each rabbit has lovely pink feet and and silver polkadots made from a white gold glaze. 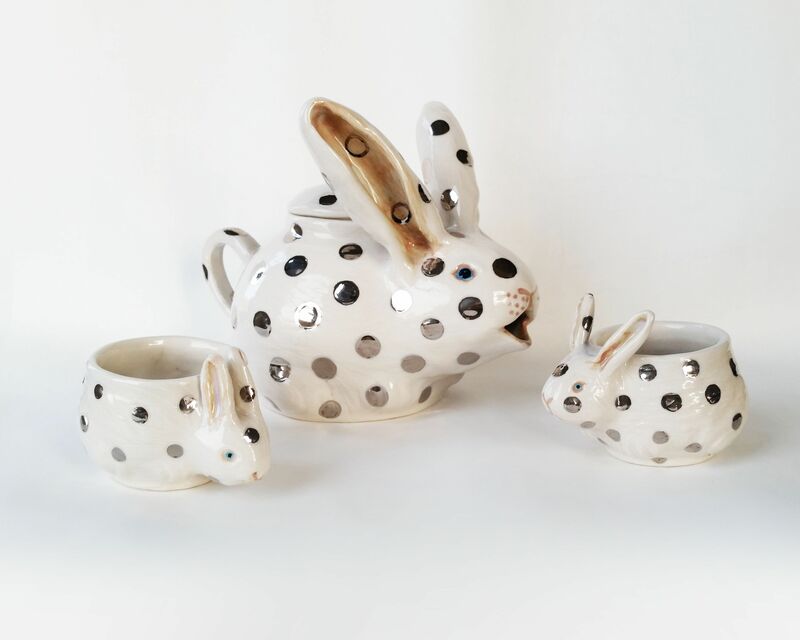 If you would like this exact tea set please search "saraelynch, etsy" to find it in my shop. Every maker has a story. Be a part of Sara E. Lynch's story by placing an order, leaving a review, and seeing your review appear here.